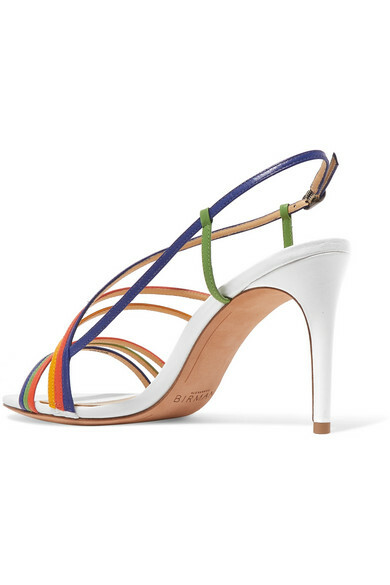 If you like to dress from the feet up, Alexandre Birman's sandals are for you. 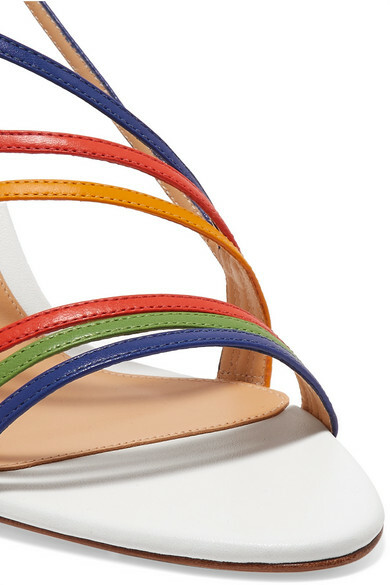 Designed in the season's coveted barely-there silhouette, they have slim leather straps that are tropical shades like zesty orange and kiwi green. Wear them with light-wash denim or make a statement with a dress that's just as colorful. 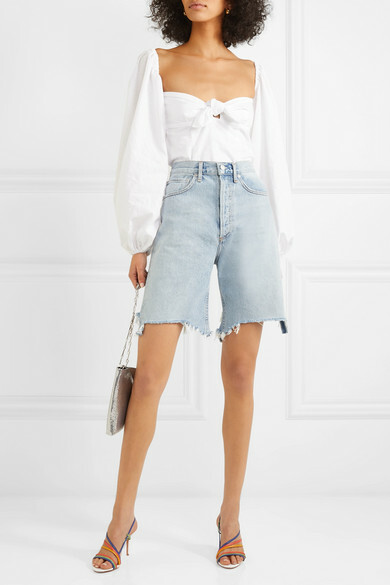 Shown here with: Attico Blouse, AGOLDE Shorts, Paco Rabanne Shoulder bag, Sophie Buhai Earrings.